The Volkswagen Military & First Responders Program is our way of saying thank you to those who serve our country and communities. 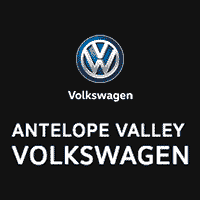 With this program, Military and First Responders are eligible for a $1,000 bonus ($500 bonus from Volkswagen and a $500 bonus from Antelope Valley Volkswagen) towards a new Volkswagen vehicle. New, unused Volkswagen models (excludes Golf R models). If you would like to learn more about the Military & First Responders Program, please contact us and one of our sales associates will be happy to answer any questions you may have! Also check out our current new inventory below. 2018 Volkswagen Golf TSI S 4-Door Titan Black Cloth. We appreciate your interest in our inventory, and apologize we do not have model details displaying on the website at this time. Please fill the form out below and our team will quickly respond, or, please call us at 661-273-2500 for more information.